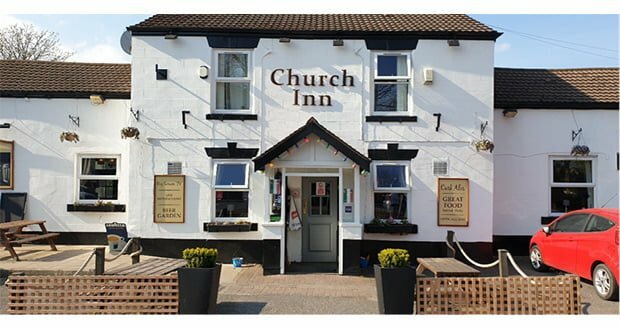 Local community pub, the Church Inn, in Lowton Warrington is offering the cheapest Sunday Lunch in England, for just £1 per customer on Sunday 28th April. Experienced father and son duo Peter and Ryan Travis want to ensure all their customers can have a delicious Sunday lunch and have come up with the £1 lunch scheme, also marking the pub’s first food offering. For £1, guests will receive a generous portion including roast beef, Yorkshire pudding, roast potatoes, carrots, green beans and gravy. The lunch is proving to be a really popular move in the community with 100 spaces already booked up, so be quick to take advantage of this Sunday feast. Licensees Peter and Ryan moved back to England in 2015 having jointly run two pubs in South Africa. 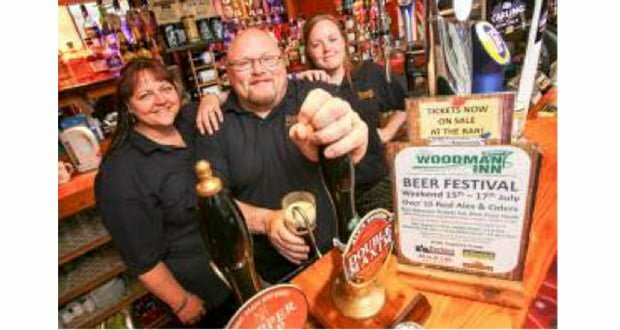 They took on the Church Inn two years ago and using their experience have turned the pub into a thriving community hub in the town of Lowton Warrington. As well as their hotly anticipated Sunday lunch, the pub has a broad range of drinks available, including Carling, Carlsberg and Moretti and a signature Gin bar with some fantastic choices available. 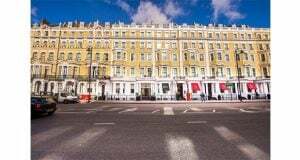 Throughout the summer there will also be a fantastic range of tribute acts to keep the locals entertained, from Robbie Williams over the Easter weekend, to the Beatles, Adele, Abba and even Michael Jackson. The pub also hosts a lively beer garden with great BBQ facilities for residents to enjoy throughout the summer. Commenting on the Sunday roast lunch, Ryan Travis licensee at the Church Inn said: It is great to be able to give something back to this wonderful community who have been so welcoming to us and give people a really good reason to come and visit. We’re delighted it has been popular so far and customers can get a £1 lunch as long as they have spent £3 at the bar. We’re hopeful that if our first £1 Sunday lunch is successful, this may become a regular occurrence at the Church Inn. 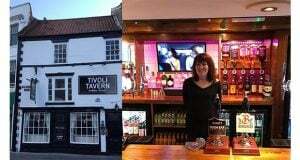 Commenting on the Church Inn Paul Murphy, Business Development Manager at Admiral Taverns said: This is a fantastic initiative from Ryan and Peter, who are providing some excellent offers for the locals. Their enthusiasm and motivation are already reflected in the pub and I’m thrilled the lunch has had such a positive uptake. I would definitely recommend heading down to the Church Inn and checking out all of the great entertainment they have planned this summer.